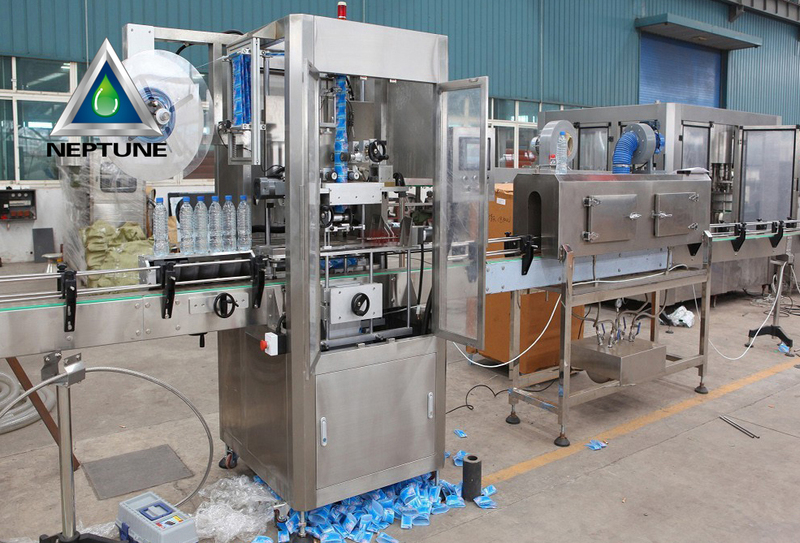 Automatic Sleeve Shrink Labeling Machine (trapping label machine) is suitable for various kind of bottle types, for example round bottles, square bottles, flat bottles, curved bottles and cup-shaped bottles, etc. The custom shrink sleeve labels can be applied by automatic sleeve machine. 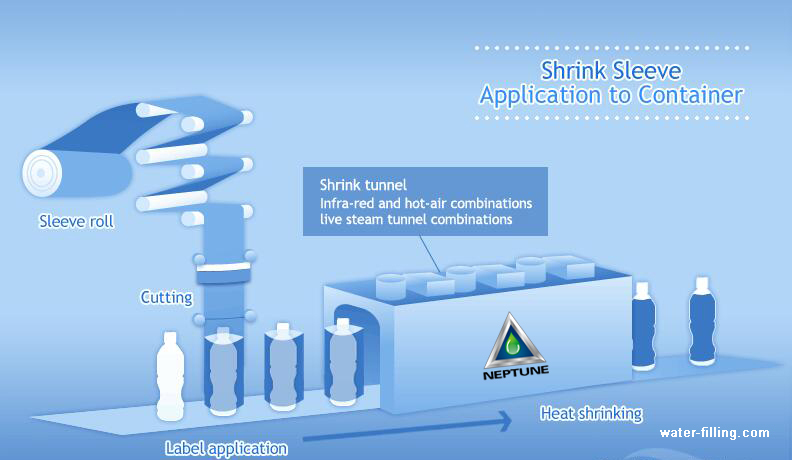 Then, the bottle water with shrink sleeve is sent through a heat tunnel, which will cause the label to shrink and conform to the contours of the container. From this point, all that remains is to fill bottle with product and let the aesthetically pleasing look of custom printed shrink sleeve labels sell the bottled water. 1.Shrinkage film volume label rack, match with adjustable device, convenient to adjust according to differ volume label 5″~10″paper tube. 2.Simply installation, Easy for both square and round bottle. 3.Rotary mechanism is easy to adjust. 4.Unique pressing sleeve labeling method, convenient and reasonable. 5.Auto controlling feeding system, level-off shrinkage film materials and regulate/adjust strain simultaneity. 6.Unique design knife plate, within specification cope, can avoid changing knife base, knife changing is quick and conveniently. 7.Middle guide-pole clip system can make it easy to change shape mold. 8.Label location system, can promote and demote in-phase adjust location according to specific bottle type requirement. 9.High-sensitivity photoelectric, label cutting precision is highly. 10.Stainless steel electric equipment controlling case. 11.Use advanced man-computer Interface auto controlling technology. All key electric component use international famous industrial brand.